Because of declining lobster stocks in southern New England, the American Lobster Technical Committee (TC) of the Atlantic States Marine Fisheries Commission (ASMFC) has recommended a five-year moratorium on harvesting lobsters south of Cape Cod. 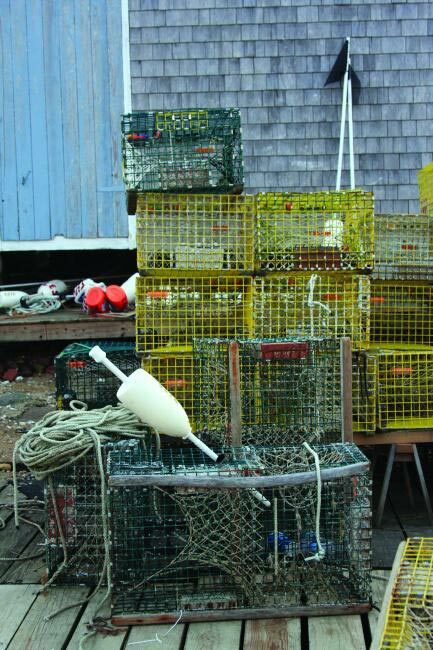 If enacted, the moratorium would put Vineyard lobstermen out of business until 2016. There will be a public hearing in Warwick, R.I., on July 22. According to Dan McKiernan, deputy director of the Massachusetts Division of Marine Fisheries, the meeting will discuss the scientists’ projections of lobster stocks and have a conversation about what is fair to the fishermen. At its summer meeting on August 2 in Alexandria, Va., the full ASMFC will discuss and possibly act on the moratorium recommendation. According to Chilmark selectman and Menemsha Fisheries Development board member Warren Doty, there will be an amendment offered that contains five alternate and less draconian actions to preserve the southern New England lobster fishery. The reasons for the TC’s moratorium recommendation are cited in a 24-page report (http://www.asmfc.org/) showing that the lobster harvest in southern New England peaked in 1997, reached an all-time low in 2003, and remained low through 2007. Studies of lobster larvae and infant lobsters in the last two years show low abundance of the species here (less than 25 percent of levels in the 1984-2003 period), at the same time that there has been record high abundance in the Gulf of Maine and on Georges Bank. Lobster stocks in Massachusetts Bay are also low, but not as low as south of Cape Cod. Mr. Iacono points out that scientists sample populations (of larvae or juveniles, for example) at the same spot at the same time of year in order to make year-to-year comparisons, but conditions change and populations shift. Local lobstermen have noticed that lobsters are shedding at different times of year from earlier years and dropping eggs at different times, all of which may skew the scientists’ population tables. However, Dr. Jelle Atema, professor of biology at Boston University and Woods Hole Oceanographic Institution researcher, told The Times in a telephone interview that he feels the TC report is complete and accurate. The lobster life-cycle, he said, is well-understood by scientists. Why are there fewer lobsters? Mr. McKiernan cites several theories about the decline of lobster harvests in southern New England. A few people blame the Rhode Island oil spill in 1996, when a grounded barge dumped 828,000 gallons of home heating oil. Long Island lobstermen, Mr. McKiernan says, blame mosquito pesticides in the waters. Others cite a recent outbreak of shell-disease. Mr. Iacono points to the restrictions that have protected striped bass, sea bass, scup, and especially dogfish, all of which eat lobsters. “If you open the stomachs of these fish, you find they’re full of lobsters,” he said. Professor Atema commented that what is happening to lobsters is similar to what is happening to plants and other animals as the climate changes. Species struggle in zones where conditions are becoming too warm and thrive in new places that were once too cool. Lobsters stressed by too-warm water are more vulnerable to disease, pollution, and predation. The waters of southern New England have been getting warmer. Lobsters seek a temperature range from 54 to 64 degrees, begin to be stressed when the water is above 68 degrees, and die in water above about 82 degrees. As the shallow waters warm in summer, lobsters, especially breeding females, may seek deeper water or head north, which may explain the record harvests in the Gulf of Maine and on Georges Bank. Mr. McKiernan doubts that southern New England lobsters are migrating north around Cape Cod, but Professor Atema thinks that is quite possible. Both agree that in summer many lobsters are seeking cooler, deeper water, a habitat less friendly to lobsters because of reduced shelter and more predators. Females may be shedding their eggs in deep waters far to the east, where fewer larvae survive and where currents do not bring larvae back to habitats south of Cape Cod.